Coventry City Council has been ordered to pay £100,000 in costs and has been severely criticised by the High Court for child protection failures. What is particularly interesting about the case is the unusual decision of the High Court to disclose the name of the offending council at the request of the BBC. Judge Bellamy decided the main case in February, ruling that the council, which had accused the children’s parents of faking their illnesses, had “fallen below acceptable standards”. The council had attempted to withdraw care orders for three children at the last moment after it admitted to not having enough evidence to back up its claims. The judge was so unimpressed with the council’s conduct of the case that he ordered them to pay the parents’ costs of £100,000. At first, the name of the council was not revealed, for fear of identifying the children. The BBC took the case back to court, arguing that the child protection issues identified by the are matters of legitimate public interest, not least to the inhabitants and council tax payers of the area served by this local authority, and that permission should be granted for the local authority to be named. In many cases the name of the local council involved in child protection cases will not be revealed. This is because section 97(2) Children Act 1989 provides that nobody shall publish material which is likely to identify any child involved in court proceedings. And, by the section 12 of Administration of Justice Act (‘AJA’) 1960, anyone who publishes such material will be in contempt of court. In deciding whether to publish such details, a court will have to decide which of two often competing human rights protections – the right to privacy (Article 8) and the right to freedom of expression (Article 10) – will win out. The judge began by making clear that although the AJA restricts discussion of the facts and evidence relating to the proceedings, it does not prevent publication of the names of the parties, the children or the witnesses, as was stated in Re B (A Child)(Disclosure). The BBC accepted that if the court were to allow the publication of any material likely to lead to the identification of these children then the children’s Article 8 rights would be engaged (but not necessarily breached). In those circumstances the court would be required to balance the children’s rights against the BBC’s rights to freedom of expression. First, neither article has as such precedence over the other. Secondly, where the values under the two articles are in conflict, an intense focus on the comparative importance of the specific rights being claimed in the individual case is necessary. Thirdly, the justification for interfering with or restricting each right must be taken into account. The BBC argued that there is a powerful public interest in the public knowing the identity of the local authority in a case such as this because of the draconian nature of the powers they wield and the associated need for public accountability. So far as concerns the population served by this local authority, there is a legitimate public interest in the local authority being identified. Whereas the risk of breaching the children’s Art 8 rights is potential, the breach of the applicant’s Art 10 rights is, at present, actual and arises as a direct result not of any statutory restriction on publication but as a result of the rubric set out at the beginning of my earlier judgment. The residents of Coventry had the “right to know” that the local authority concerned in this case is Coventry City Council and the BBC had the “right to report” that fact. 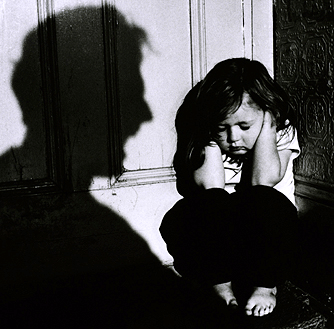 It is often the case that courts are privy to local authority failures in child protection cases. The current president of the family courts has called social workers “arrogant and enthusiastic removers of children“, and has repeatedly stressed the need for wholesale reform of the family justice system. This often leaves judges in a difficult position. One the one hand, they must maintain the anonymity of the children involved in protection proceedings. It would be a tragedy if a the revelation of a child’s identity ended up causing him or her more problems than the issues which led to their case reaching court in the first place. On the other hand, there is a strong public interest in revealing as many details of poor conduct as possible in order to ensure that mistakes are not repeated. This delicate balancing exercise is explicitly built into the European Convention on Human Rights, which allows for rights to privacy to be breached if the breach is proportionate to the aim of protecting the public. Similarly, rights to freedom of expression are not absolute, and can also be breached if they threaten the reputation or confidentiality rights of others. As Judge Bellamy pointed out, there are hundreds of thousands of people in Coventry. It was therefore inherently unlikely that the mere revelation of the council’s name would lead to the revelation of the children’s identity. Of course there is always a risk, and that risk will increase with each new revelation. But as the judge also pointed out, a council’s fear of criticism should never be a justification for granting a council anonymity. The family courts were ‘opened up’ to media reporting just over a year ago. Many in the press have since complained that too much emphasis is still being placed on the anonymity of children, meaning that reporting is still in fact greatly restricted. But it does appear that the courts are, slowly, allowing more information about child protection cases to be revealed. The press will hope in future that such details are revealed as a matter of course; that is, without having to spend money applying for them in court. This clear and sensible decision will certainly help. But further advances for press freedom may have to arise from Parliament. As things stand, it seems sensible that the naming and shaming councils in such cases will help them to learn from their mistakes. I think that this is entirely appropriate. Councils should be named if they fail to provide adequate care and abuse the process. It appears, from our experience, that court is used as a threat. Out local authority took us to court in May because i have a severe mental illness – I was completely well in may and remain well. The Guardian opposed any order. We left court with a very onerous written agreement. The council failed to adhere to it. They don’t even do their child protection visits. We went back to court in July. The local authority allegedly wanted a care order but had no plan. The guardian opposed the order. We had a family group conference. The local authority told the family that they were happy with the plan. They withdrew their approval two days later. We went back to court. The guardian opposes any further proceedings. The local authority want me to consent to blanket disclosure of my mental health appointments. I have refused. We are going to the high Court. It is a waste of public money. The local authority have failed to undertake statutory visits, have failed to adhere to court approved written coercions and have never had a plan about what they want in court proceedings. The social workers have bullied us, used court as a threat and have infringed my Artilce 8 beyond recognition. Despite the severe adverse effects on my health and my son’s well being because of their intervention, the local authority will not investigate. An abuse of process is the politest way of terming this. I want them to be named in the High Court.